As you will see in my vlog, it’s coming! On October 31, I show the scale and made a promise on camera that I would gain them two pounds I loss. And I did in ONE WEEK! Woo hoo! I actually gained four pounds because I’m 117lbs currently. Ha!! You have no idea how happy I am and looking at the calendar, I’m still on track to my goal weight of 130lbs. YAYYYYYY! I don’t have official before and after pictures besides the one at the beginning of this post. You can see a very slight difference but hey, whatevs. The pictures I took weren’t that good to compare. 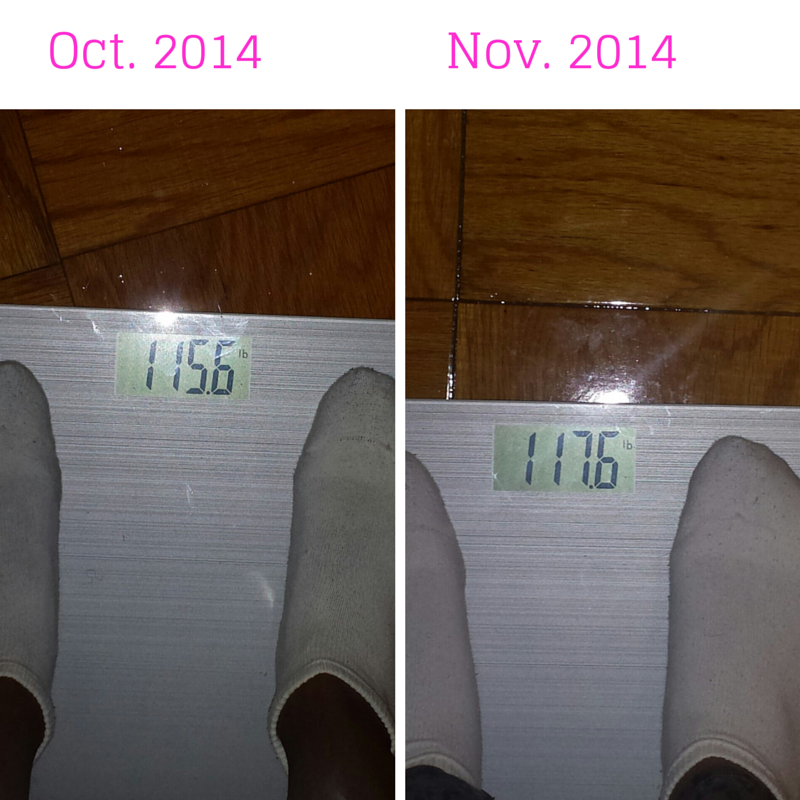 But I did take more pictures (all angles) in the beginning of November to compare to at the end of November. To me that’s more official than the pictures I did take. November isn’t even over but I’m optimistic about my progress! For the people wanting to join in, it’s never too late! 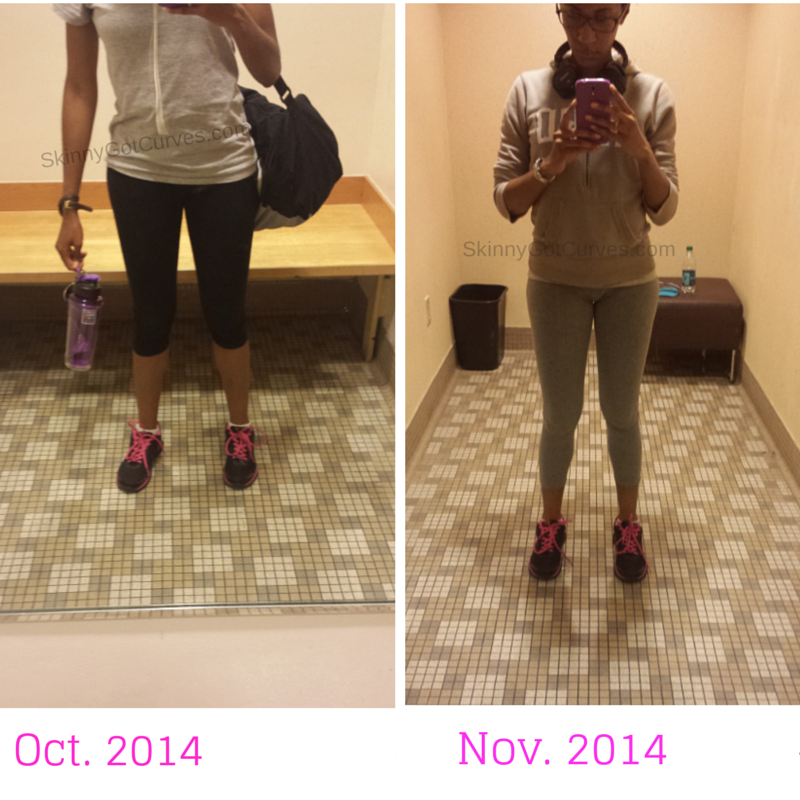 Check out my initial post on #90DaysofGain. Just start where you are and keep going. I would love to start featuring pictures of those are participating soooooo… you can just email me regarding this challenge at 90daysofgain@gmail.com. That way I can share with everyone your transformation on social media and right here on the blog. Are you closer to your fitness goal? If you are, please share your tips and tricks. If not, share some of your obstacles. « Where to Find Bobbi Brown Bronze Glow Holiday 2014? Store list!